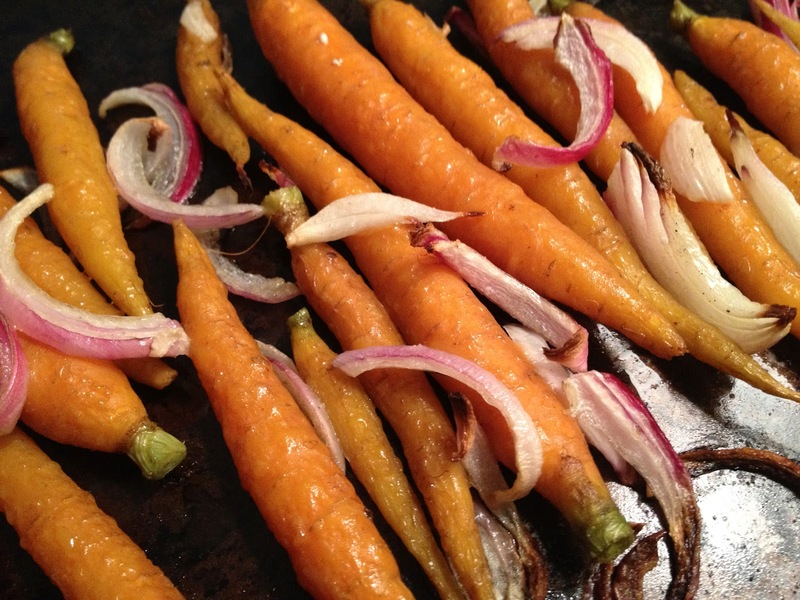 These baby carrots are absolutely gorgeous and delicious. Cut the greens from the carrots, leaving a little green nub. These carrots are from CSA Week #8 and the farm says the skins are so tender there is no need to peel them, so I didn’t peel them. Cut the red onion into semi circles. Toss with olive oil, salt and pepper. Arrange on a baking sheet and roast in a 400 oven for 30 minutes. Enjoy!